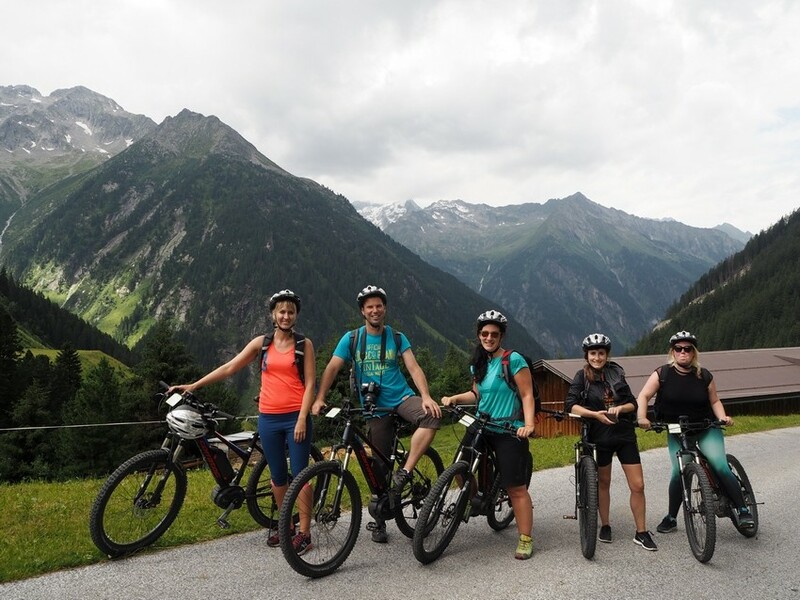 Mayrhofen in summer is a true mountain paradise with scenic cycling roads, endless hiking trails and variety of climbing adventures. This mountain world is too enchanting to resist. Mayrhofen, little charming town in Tirol, Austria, has very unusual location. It sits sight in the heart of Zillertal valley landlocked between two mountain peaks. With the nearby Hinterlux glacier, skiing is possible all year long and winter sports are what Mayrhofen is known for. 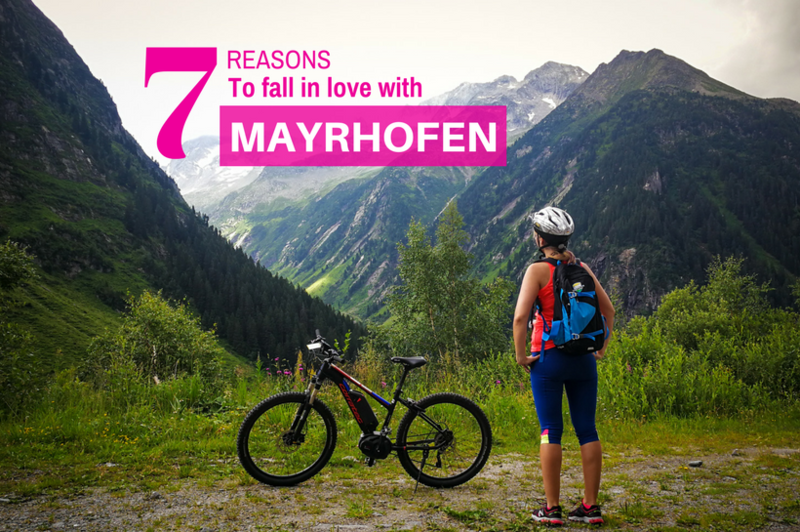 But there is plenty of things to do in Mayrhofen in summer, too! I have spent one week exploring the area and its green pastures, the alpine scenery is too addictive: I didn’t want to leave. Once you have been there and have seen it, falling in love it way to easy. 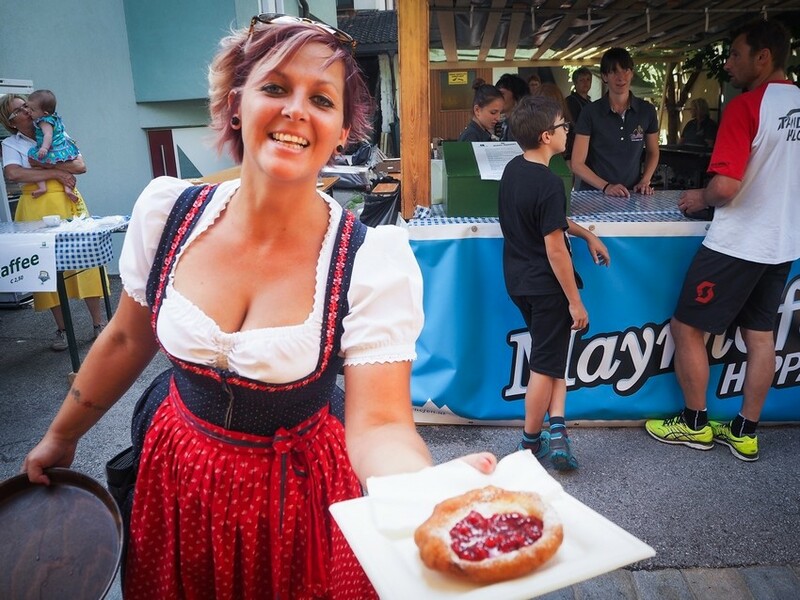 I wrote this post to let you know what to do in Mayrhofen and why this town simply rocks. 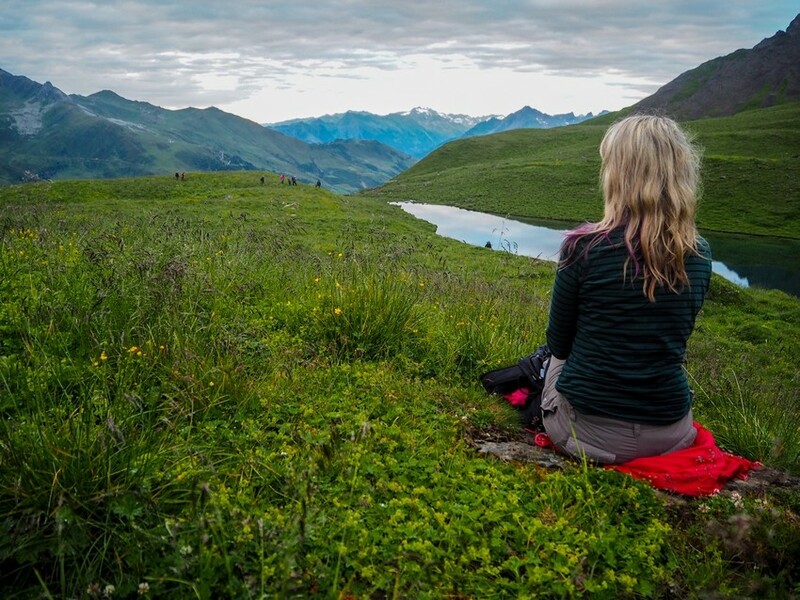 Why should you visit Mayrhofen this summer? When it Mayrhofen, you are always surrounded by mountain peaks. The village is situated in the heart of Zillertal valley at altitude of 650 meters. The cool part is that you can get up to the peaks in just matter of minutes. There are two cable cars taking off directly from Mayrhofen/town – one to Ahorn (1965m) in the east, the other to the Penken in the west (1800m). Ahornbahn is Austria’s largest cable car. The cabin can take 50 passengers and takes them up there is less than 7 minutes. Interestingly, the ropeway was constructed according to natural surroundings – they got several awards for using the modern technology while respecting the environment. Ahorn makes for great day trip as it offers lots of hiking trails. There are also frequent Birds shows on the top (at the Ahorn Eagle’s Stage). Another option for getting fabulous views is the trip with 3S Penkenbahn that Tyroleans proudly call world’s modern cable car. It is a 24 seater and operates from as early as 5 am – if you don’t mind waking up early, get up there and watch the sunrise. Of course, there are many more ways to enjoy the views: especially while hiking and cycling. If you are into outdoors, the possibilities are nearly unlimited. How about the paragliding into the valley and enjoying the scenery from bird’s–eye view? The flight takes as long as 20 minutes. 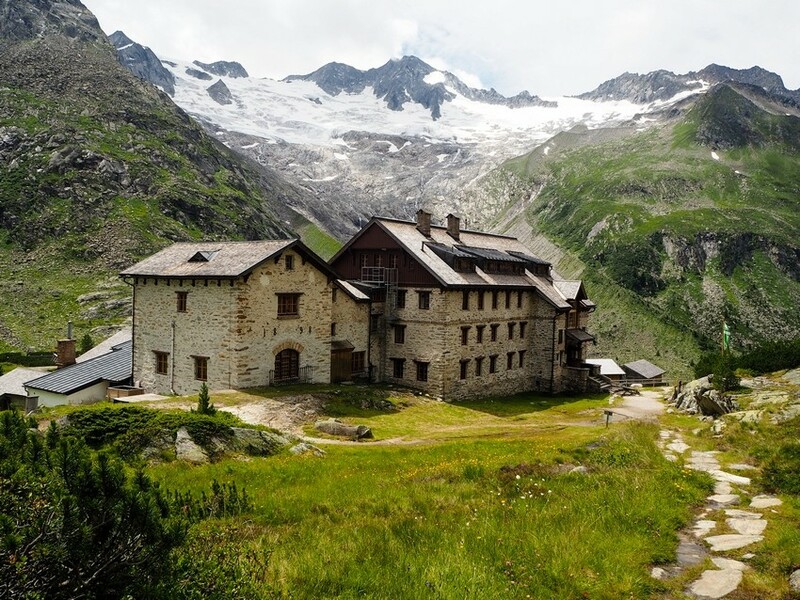 Situated at an elevation of 2042 meters in beautiful Zillertal Alps Nature Park, Berliner Hut is the oldest and most well-known Alpine hut in the Zillertal Alps. It is a true highlight among things to do in Mayrhofen. It does not come for free though – the place is only available on foot, so you should get ready for lots of hiking. In total, there is 25 kilometers to walk. Yes, it hurts! The three hours hike is a great way to experience the greenery including several rare species of plants. Despite the fact that my group was on a high paste (you would be surprised how fast some of the people in their fifties can walk! ), I enjoyed this hike and especially the unspoiled nature. Many places looked like from the postcard – with the peaks, cows and even a horse farm just out there in the fields with backdrop of two glaciers. Hiking to Berliner hut: From Mayrhofen take the half an hour bus to Ginzling. The hiking trail starts near the Guest House Breitlahner. You continue via upper Zemmgrund. The route is marked and there are few huts of the way. I recommend having lunch directly at Berliner hut. Don’t forget to explore the building from inside, it is really beautiful. Have you ever seen a sun rising above the 2000 meters nigh mountain peaks? It is beautiful, so beautiful that describing it is not enough. You just have to try! But I can tell you that this moment near Mayrhofen is along TOP 3 of my sunrise experiences ever (the others are in Taiwan and Philippines). If you expect short trip to a viewing point with some hiking, you will be as shocked as meJ Actually, it is 16 kilometers and I wasn’t mentally prepared for this. We started hiking at 4:15, it was really cold and soon, my shoes turned soaking wet from the walking on dew covered grass. At some point I was so freezing that I wanted to head back. Luckily, I did not do that. I would miss all the beauty ahead: after some kilometers when I could finally see the landscape, I realized we have teleported into Lord of Rings movie and there must be Frodo waiting for us on the next corner to show us around this lad. Greenery, mountain peaks…and the pest part is that you have the mountains all for yourself which is a thrilling experience. 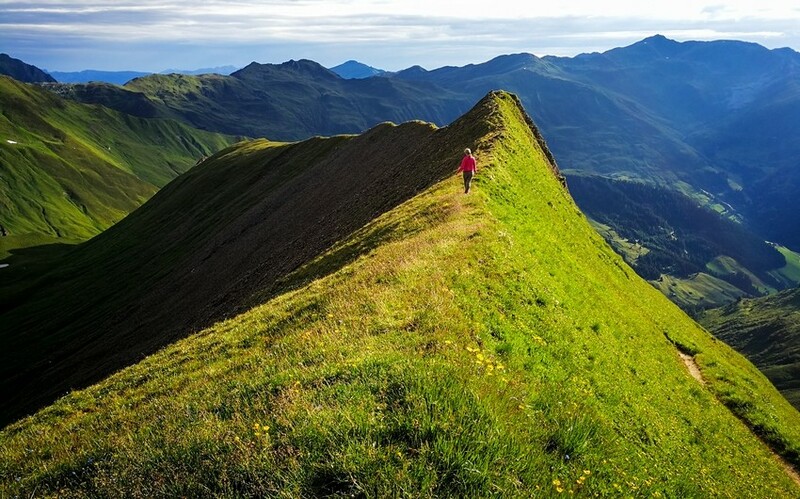 Hiking the Tux valley: If you want to do this experience (highly recommended), get ready for an early wake up. There is a pick up every morning from Mayrhofen at 4:15 to Nasse Tuxalm (1,843 m) where the hike starts. You will pass mountain lake Tornseen and two peaks Ramsjoch (2,508 metres) and the Grüblspitze (2,395 meters). You know the hiking is finished when you reach Eggalmbahn cable car. It is good idea to have breakfast at Eggalm hut before taking the gondola down Lanersbach town. From there, you can return to Mayrhofen by bus. Mayrhofen is a great place for climbers, too. Of course I went to try their via ferrata – it was just behind the corner from my apartment. There are several routes, from the most difficult one to the easier ones. 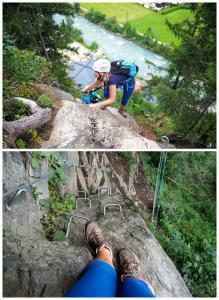 They recently added new part that is for children (so call Kinderferrata). You can do this experience with a guide or just rent the equipment (harness, Via Ferrata set and helmet) and be on your own. Sticking to the medium difficulty routes, it took me about one hour to climb all the way up. You can do it as many times as you want – there is a hiking trail on the way back. Make sure to stop at Zimmereben hut at the top – the views are stunning and their schnitzel is said to be the best one in whole Mayrhofen. If you are an adventurer, you will love this one. 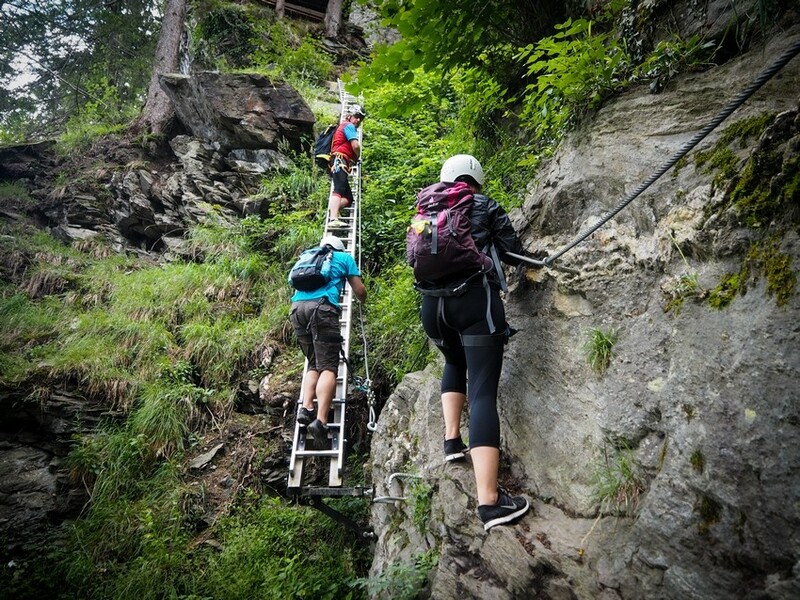 This is the first via ferrata built on a dam wall worldwide and climbing it is one of the most thrilling things to do near Mayrhofen. Trust me, it does not get more scary than that. This climbing route is called #SCHLEGEIS131 – The Wal and is in function little over one year now. It has 7+ level of difficulty (from 12!) and there is 131 meters in total. The fun thing is that the wall is overhanging so the climb is increasingly steep. And there are no returns – at some point, climbing down is more risky than way up. When I arrived to this via ferrata it stopped raining for little while, plus it was my last day in Tirol so I decided to do it. I was the only one in the wall that moment and although it looked quite easy, the further you get the more difficult it was. There are who little resting stations on the way, but I did not sit there for very long, as more rainy crowds were coming. In the end, I did the whole think in 45 minutes. It was thrilling experience indeed. But I would only recommend it to experienced climbers. With amazing scenery and great roads, it comes as no surprise that cycling is one of the best ways to explore the area. Mayrhofen is a great base for many day trips with Zillertal Valley Cycle Path as one of the popular ones. Following this 31 kilometers gentle route one can visit quite few attractions including Schlitters Swimming Lake or Adventure Park in Kaltenbach. Another great thing to do I is the incredibly scenic cycling trip from Mayrhofen to Zillergrund Dam. The route is going via 25 kilometers long Zillerground area known for some of the best hiking and cycling trails. The mountain views are great but the best comes at the end – The stunning Zillergrund Dam reservoir is located at elevation of 1900 meters above the sea level. The trip takes in total 26 kilometers. I actually rented eBike for this tour just to be sure I can do all the hills smoothly, but you can manage on normal bicycle, too. So much easier to do one day trips than 900 kilometers cycling trip around Taiwan I did last November. Tasting local food is the one of the fun ways to learn about new cultures. Although I have been to Tirol several times my trip to Mayrhofen added totally new term into my food dictionary: “a Schmankerl”. At the first sight, it looks as an pancake served in many various shapes and favours (both sweet or salty). One should forget about the healthy diet and just enjoy it: It is yummy! This local dish is served both in Tirol and Bavaria, but one cannot order it in the restaurants – people mainly just do it at home. I was lucky to be around in second week of July when annual Schmankerlfest takes place. As other Tirolean festivals, it is all about the local music and people meeting each other. 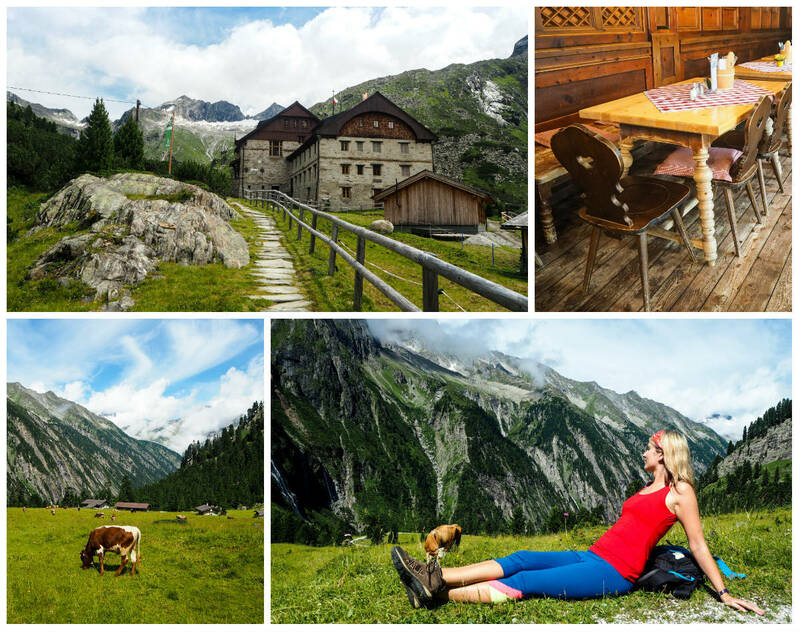 If you happen to be around, this is a great way to see Tirolean way of living. The town Hippach is pretty nice, you can get there from Mayrhofen by train. The trip takes half an hour. Staying in Mayrhofen, it is rather easy to find a way around. However, I decided to add few more tips on activies and accommodation in Mayrhofen to make your trip as smooth as possible. Have your rain jacket ready. The weather is mountains is cooler and it can change very fast. Although I visited Mayrhofen in summer, it was still waiting every day – many times, it was sunny and then the rain clowds came at around 6 or 7 pm. It is good to be prepared for various weather conditions when you are taking off for hiking or cycling trip. Experience the steam train. What do do in Mayrnhofen when it rains? You can experiencethe Zillertalbahn – 32 km long narrow gauge railway from Jenbach to Mayrhofen. Seing the valley from historical train is another way to ejoy the views. Get a Zillertal card. It is Great thing for navigating around and it can save you quite some money, especially if you are staying multiple days. It is valid for 6, 9 or 12 days and in includes all cable cars, swimming pools and transportation in the entire Zillertal Valley. Pick cool accommodation in Mayrnhofen. I stayed in Chalet Schnee, a lovely apartment near with fully equipped kitchen and enough space that I could stay there forever (105 square meters! ) . It is a good choice for groups (up to 10 people). If you are searching for a double room, you can pick Moroder house, a cozy family-owned pension in the heart on the town. 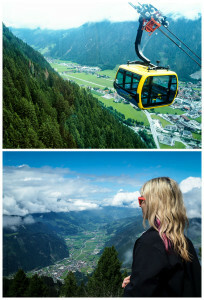 WHAT IS YOUR FAVORITE THING TO DO IN MAYRHOFEN IN SUMMER? Do, does Mayrhofen sound like a place to add to your list? I really loved this mountain escape. Le me know what is your favorite thing to do there in summer. 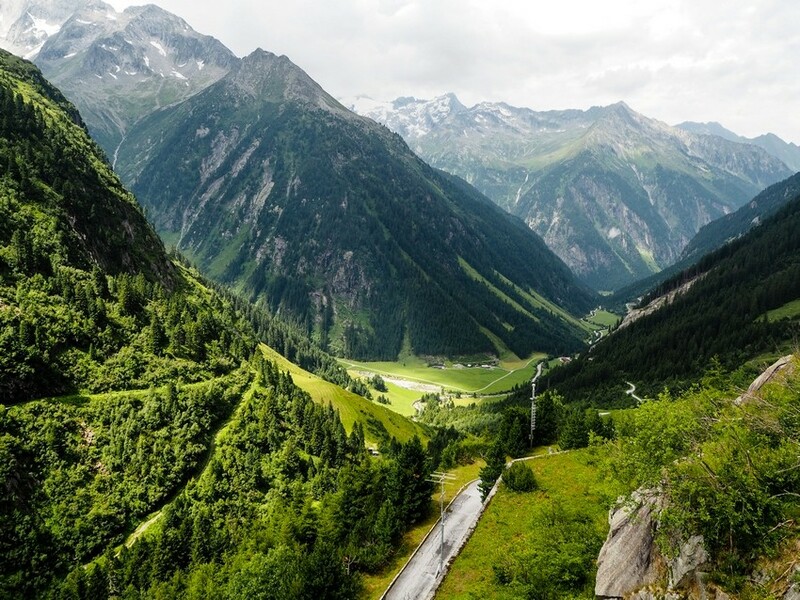 PS: If you would like to continue exploring surrounding regions, read a post about Driving the Grossglockner High Alpine Road by a fellow blogger. It tooks like an amazing experience, too! If you enjoyed this article, please share it on Facebook. 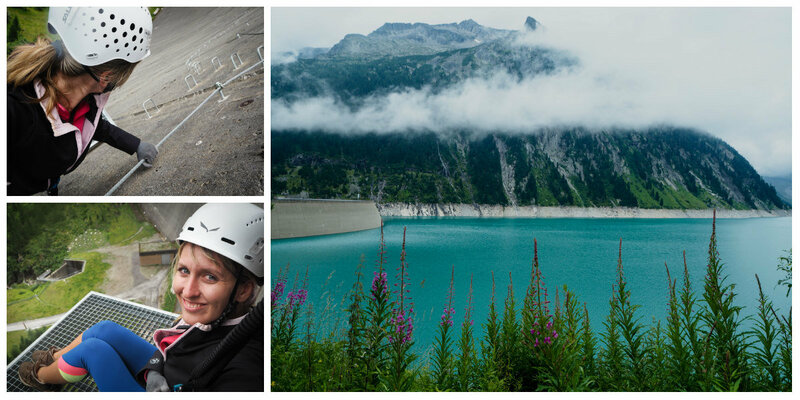 My trip to Austria was part of #BlogVille project in cooperation with iambassador and Tirol Tourist Board. All opinion are, as always, my own. 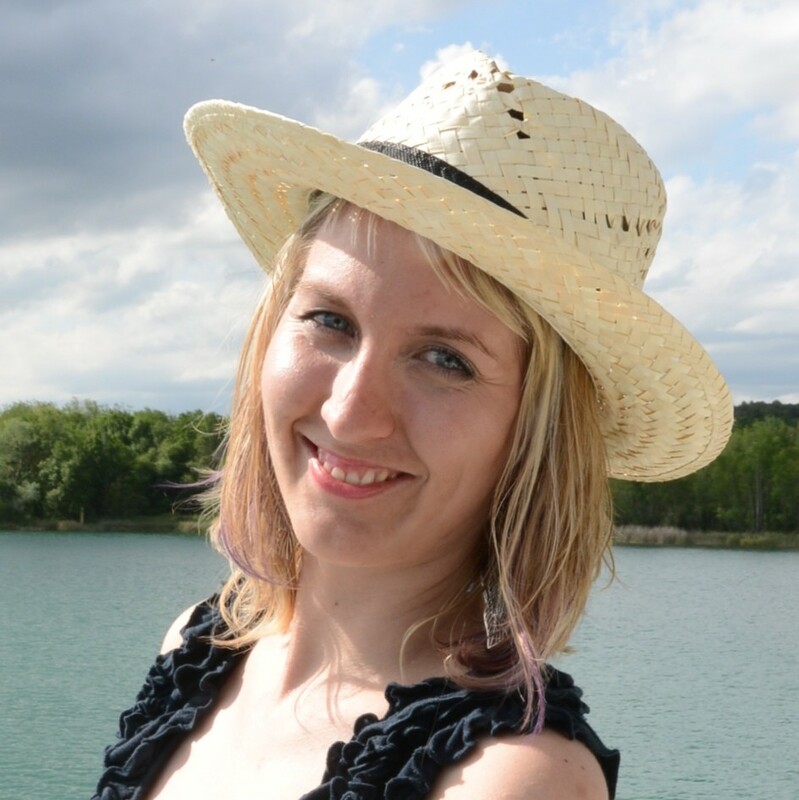 Veronika Tomanova is the founder of award-winning solo female travel blog Veronika’s Adventure, featuring travel tips, guides and stories from around the world. She is from Czech Republic and has been to 30+ countries. The Slegeis 131 is little extreme, but lots of fun indeed! What lovely images! Mayrhofen looks so picturesque! Thanks! It was really easy to take images of this town since all the mountain scenery is just an amazing backdrop. This looks like such a beautiful little town! I love the environmentally friendly cable cars. And I’d be up for a 25 km hike to get to stay in that little lodge! Perfect! 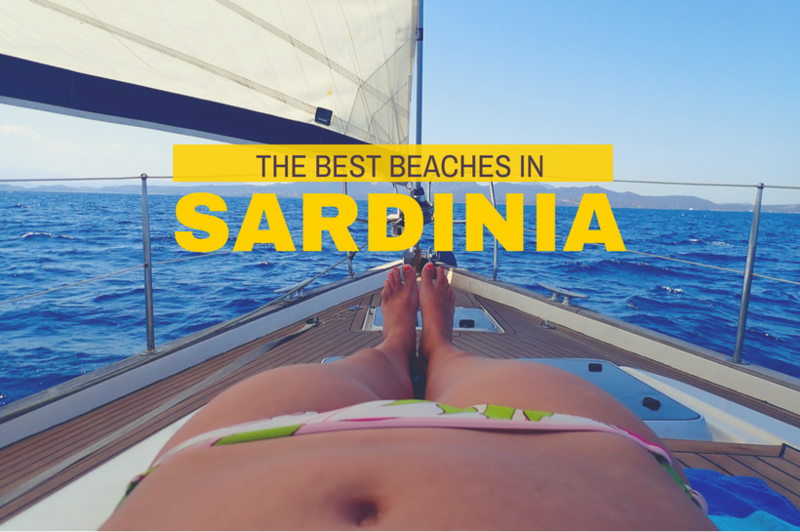 Sometimes it happens like this – the best places are the least accessible! The views do look just gorgeous. I have not really made a beeline for places like this as I don’t do climbing, trekking, cycling I worry that I would not really be able to access the best sites, but at the same time, I’m keen to go and see what I can see! Thanks for your support! Maybe you get to visit it in future, too. Wow – I had no idea that this town existed until I read your post! And it’s perfect timing as we are headed to Austria shortly so I’m so glad I stumbled upon this. Sounds like you are a thrill seeker and had some adventurous experiences – so fun! Thanks for sharing! Glad to be of help. Anytime is a good time for visiting Austria! We visited Austria back in 2012 but we didn’t go to Mayrhofen. It’s a beautiful country I really enjoyed it. Wow these look awesome! I’ve only been to Vienna but would also like to experience the countryside of Austria. Do you think it’s recommended to rent a car or are there public transpo to help you get around? Sure, I think outside of Vienna it gets even more interesting. I totally recommend you to get a car and make some road trips across the country. These are great reasons to fall in love with it. I’ve already fallen in love through your post. I’m a sucker for any destination with a mountain view, but these are seriously EPIC! Thanks for your support! Yes Mayrhofen is awesome for anyone into mountains. fantastic post.picture are so good. Mayrhofen is the beautiful place to visit i am also fall in love with this place.I’ll defiantly plan my next vacation to Austria.Thanks for this beautiful post sharing with us.keep sharing. my plan is in april 2018. I will follow your 2 trips one “cycling trip from Mayrhofen to Zillergrund” and “Hiking the Tux valley” can you advise if it is moderate or difficult? and secondly, is it possible to come down by tandem paragliding, instead of cable car? Hey, cycling trip is easy as long as you get an electric bike. Hiking Tux valley is a pretty long hike, so get lots of clothes and supplies and you can manage! I’m Veronika, a crazy girl from Czech Republic who calls the world my home. I have been to 40 countries so far and still counting. 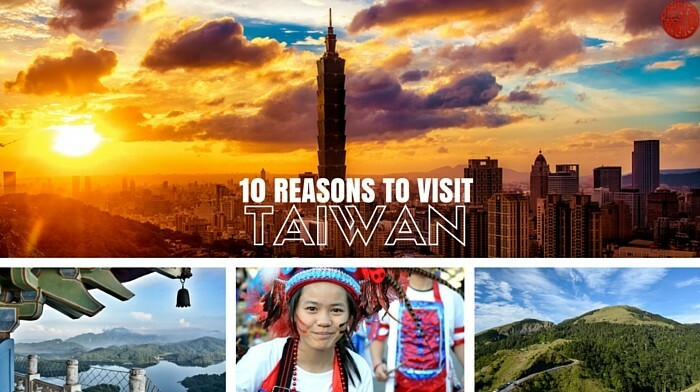 This blog is all about the best adventures around the world. Read more about me.